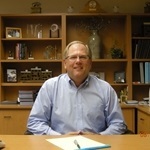 John Overson has been in the financial services business since 1977. He personally prepares over 420 individual tax returns each year and provides investment services to over 500 clients. John has a Masters Degree in counseling and enjoys building a personal relationship with his clients. The client’s needs are at the center of the comprehensive and highly personalized service available from Overson Financial. John is a native of Minneapolis MN and has been married to Patty since 1975. They have two adult children, Jason and Kristine. John’s interests include golf, traveling and more golf.